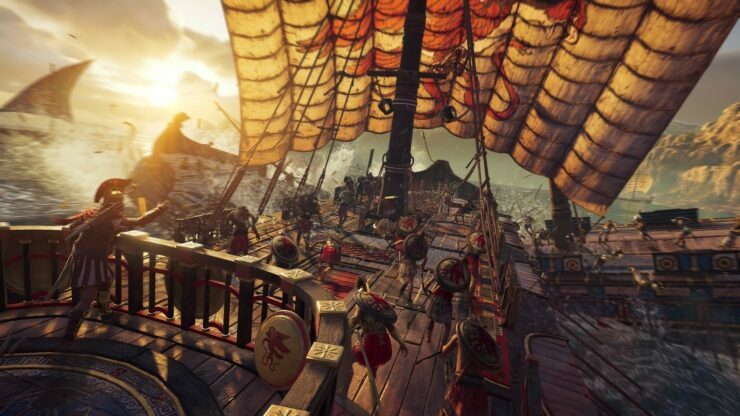 Like other recent entries in the series, Assassin’s Creed Odyssey will receive plenty of additional content. While we still don’t know precisely what will be included in the Season Pass, a new survey that’s making the rounds seems to suggest the kind of content that may be coming to the game after launch. Among the options available in the Assassin’s Creed Odyssey Season Pass survey, as reported by The Codex Network, are a new storyline set in a new area, new missions played in the same world as the main game, expanded character progression, new gear and equipment, a new character with its own progression system and more. In a fresh interview, Assassin’s Creed Odyssey Game Director Scott Philips revealed that the new game will be the deepest and most fun entry in the series yet. In the core, the second to second, I think we have the finest tune and the best, the most fun version of what Assassin’s Creed can be on the gamepad. And then I think at the more meta level, what we allow you to do with choices, with options, with role play, with romance—I’m super excited for players to get their hands on that. I think it brings Assassin’s Creed to a whole new level of interactivity, of choice, of dynamism, of making history your playground. It’s not just a place where you see a cinematic with Socrates. You ask him questions, dig into his philosophy. Why does he think that way? You can make this world your own and dig into it deeply. I don’t think we’ve had that depth in the past. Assassin’s Creed Odyssey launches on October 5th on PC, PlayStation 4 and Xbox One.